A new company in San Diego, ecoATM has created a new machine which looks like an ATM and allows old mobile phones to be dropped in, in return for cash or coupons. To use the new recycling kiosks users need to plug in the phone they want to sell using a connection device, the ecoATM then scans the phone to ensure its working and takes a picture of the quality. The machine then erases all the data on the handset and pays the user with cash or coupons. Numerous trials were carried out on the device and it was found that on average each user was receiving around $11 (£7.20) on average for their old handsets. 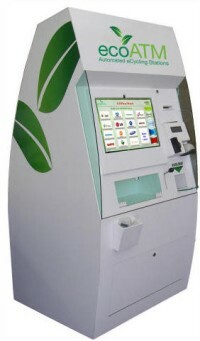 The ecoATM is currently only available in a few locations the United States and only accepts mobile phones, but if it proves successful theres no reason why it will not accept other devices such as cameras and mp3 players, it may even be available in other countries.